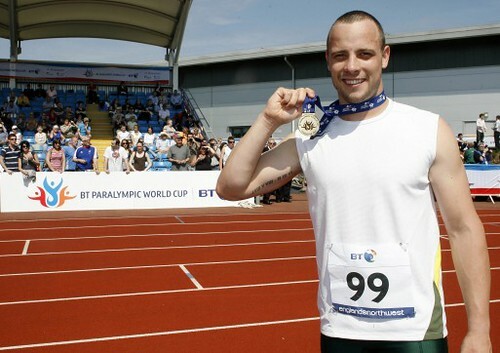 Oscar Pistorius will again be the marquee name of the 2010 BT Paralympic World Cup after the South African confirmed his participation at the annual event in May. The 23-year-old, a four-time Paralympic gold medallist, will defend his 100m and 400m titles in Manchester as he continues his bid to compete at the 2012 Olympics and Paralympics in London. In 2008, Pistorius, dubbed the Blade Runner, was cleared to compete at in IAAF able-bodied events by Court of Arbitration for Sport, but failed to achieve the qualifying time for the 2008 Olympics by 0.7 seconds. Laura Overstreet at LeftyByDefault.com: Things that make you go hhhmmm…. She then said, “You are very unlucky,” and I don’t remember what I said or did, but I know I was in shock. That was a new one on me. I have been asked this question more times than I can count and never heard that one. She went on to say, “You must cry all the time.” Uh, not so much. The advertising campaign is the first nation-wide campaign about employment for PWD. It’s on the television and the radio; there’s a website. I have yet to see a paper version. It’s not working for me. It’s not just the slogan, “Evolve Your Workplace,” (eek — misuse! infelicities! ), it’s the way disability is presented. Serene Vannoy at serenejournal: Next week: Disability Awareness Week! UC Berkeley is considered by many to be the birthplace of the disability rights movement, and the students, staff, and faculty of UCB are committed to continuing that tradition. That is why the Disabled Students Union, Disabled Students Program, and the ASUC are coordinating the fourth annual Disability Awareness Week. A group of U.N. experts will look into the plight of Haitians with disabilities, disproportionately affected by January’s earthquake, the United Nations said. […] The group also will look into the situation of people with disabilities in other countries affected by natural disasters, including Chile, which was struck by an 8.8-magnitude earthquake last weekend. But amid the graphs and tables illustrating the positive findings in the Australia Council for the Arts report More than Bums on Seats: Australian participation in the arts was some less palatable news: people with disabilities and migrants from non-English-speaking countries are being left behind. The council’s last similar survey was released in 1999. How far has access to the arts progressed for people with disabilities – one in five nationwide, or more than 4 million? “Not very far would be my summary,” Australia’s Disability Discrimination Commissioner, Graeme Innes, says.